A Special Investigating Team probing the suicide of a woman Aam Aadmi Party (AAP) volunteer, who consumed poison on July 19, has arrested seven more persons, including Narela MLA Sharad Chauhan and a Delhi Police Sub-Inspector, in connection with the case. Joint Commissioner of Police (Crime) Ravindra Yadav confirmed the arrests and added that details about Mr. Chauhan’s specific role will be shared later. The Delhi SI, he said, was the investigating officer of a sexual harassment case the woman had filed against Mr. Chauhan’s alleged supporter Ramesh Bahradwaj. 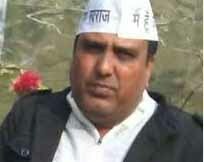 Amit and Rajnikant, two more purported supporters of Mr. Bahradwaj, are also among those arrested, said Mr. Yadav.